Steps, questions, and advice for kicking your RFP process off right and ensuring effective decision-making for your library and its community. Are you thinking about writing an RFP for your next library automation system? What do you need to know to get the best response for your library? Benefit from Joe Matthews’ experience as a library consultant, through which he’s guided many libraries through the RFP process from start to finish. 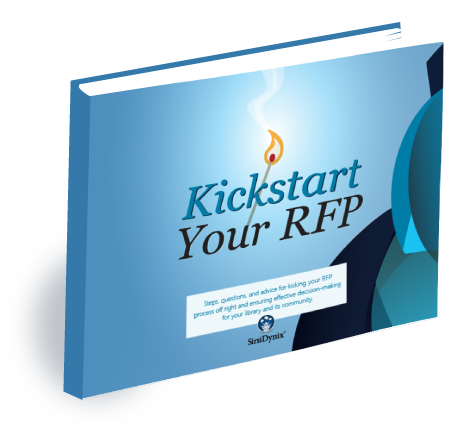 Inside this 30-page eBook are helpful tips, examples, and suggestions for how you can get your RFP off to the right start. Ensure that you get the system that best fits your needs. Get your copy of “Kickstart Your RFP” from SirsiDynix.